One of my favorite traditions that my husband and I started our first of marriage was that each Christmas, we pick out a new ornament for the tree with the year on it. We now have a nice collection of 11 Hallmark Ornaments marking our years together. Now that we have a son, most of the ornaments are ones that remind us of him. This year, we went to Walmart so we could pick out a new ornament for the tree. 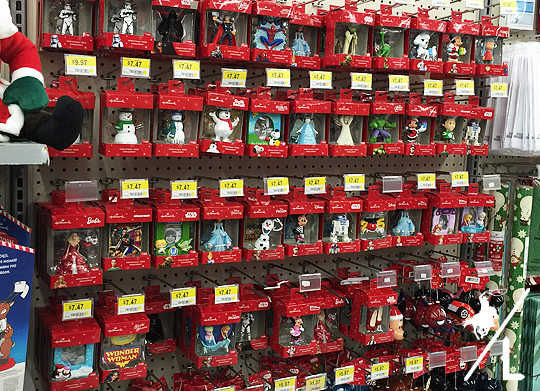 They have over 16 Walmart exclusive ornaments that include figurines, Holiday Barbie and more. We chose a snowman with the year – Carson is hoping to have a white Christmas and build a snowman. I don’t have the heart to tell him that the chances are very slim. 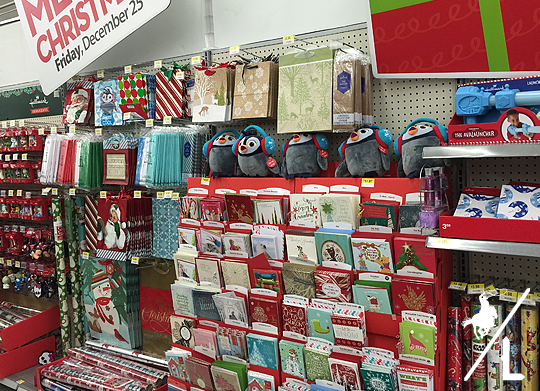 I also picked up several Hallmark cards for family members. With such a huge selection, adorable designs and sayings, the greeting cards are a great way to show loved ones you care. After the shopping trip, we came home to make peppermint milk shakes and put the finishing touches on the tree. This yummy, festive milkshake is perfect for the warm Texas winter days! Top with whipped cream and add a few candy cane sprinkles. Feel free to add a whole candy cane to be used to stir. Do you buy a new ornament each year? I’d love to hear about your family traditions! 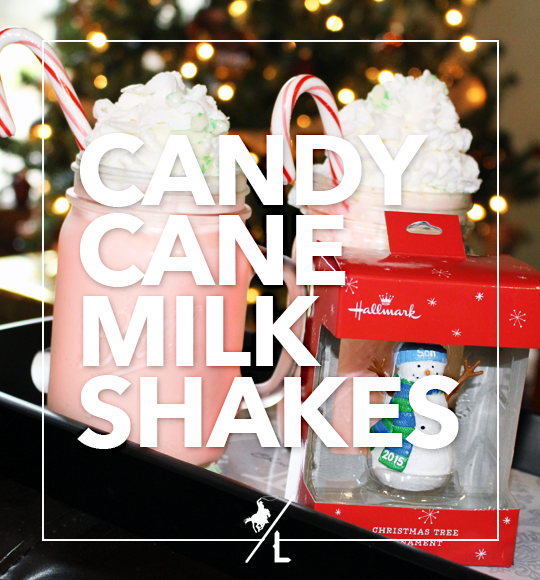 A candy cane milkshake sounds intriguing! 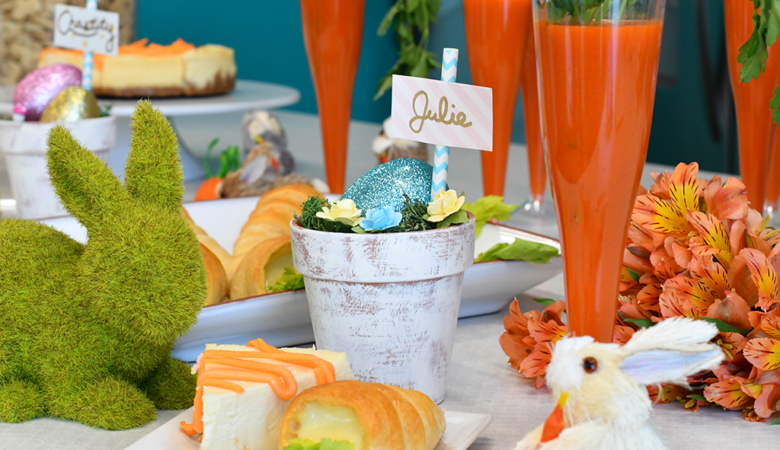 I bet the kids would really like that and how cute to serve it in a mason jar! YUM!! I enjoy a good peppermint shake. I love all the Peppermint stuff at Christmas and I'm a huge Hallmark fan. 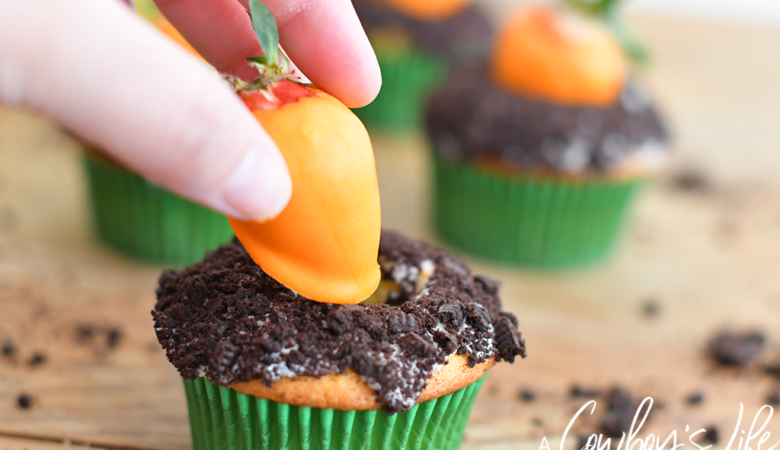 Cute ornaments and I'd love to try this recipe when the kids come home next week. These shakes look SO good! 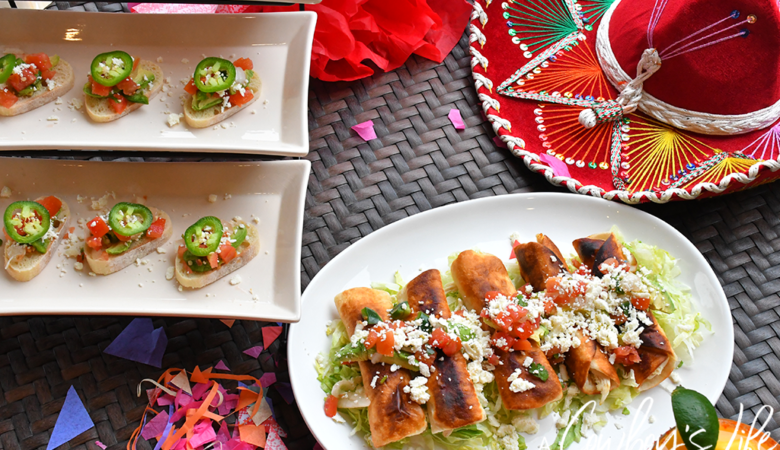 We will be trying this recipe very soon! I never thougth to make a candy cane milkshake. This sounds absolutely amazing. Once I get started reading Hallmark cards, I don't want to stop! I just gave my hubby one for his birthday and we both thought whoever wrote it knew him personally! We buy each of the kids a new ornament every year. They each have a small tree in their room with their collection of ornaments. It's become a family tradition to pick out a new one each year. Yessss! I made something similar recently! So so good. I want one now! What a lovely tradition! I love Hallmark ornaments; they've been decorating our tree since my husband and I got married 5 years ago. We've even added some for every year since my daughter was born. The milkshake is a great touch as well. I bet everyone in the family enjoys that as much as their ornament selection. 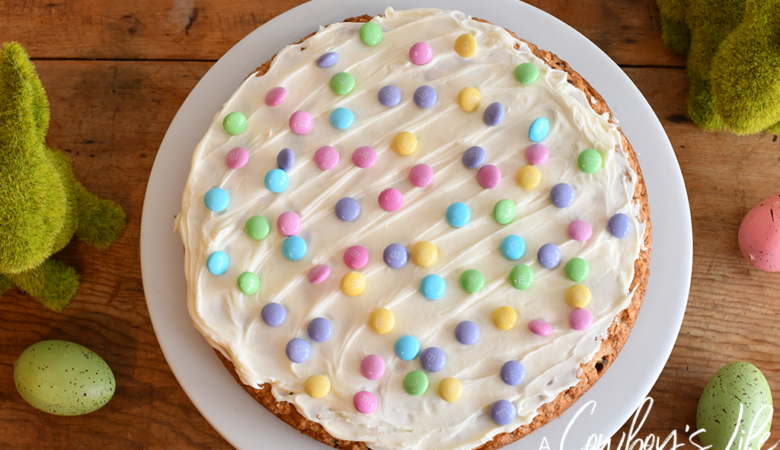 This was so lovely to read on #SHINEblog hop this week. Thanks so much for joining us! We do purchase a new ornament every year. It's a tradition that my parents continue to do each year, and I'm planning to do the same. 🙂 According to the nephew I need to find a Scooby doo ornament, lol. This is such a fun ingredient to use. I love candy cane flavor! I love peppermint! This recipe sounds so yummy! I pinned your post to my Christmas Food board. 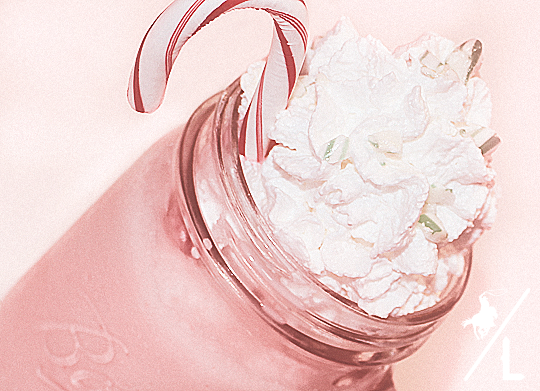 Oh my, the candy cane milkshake looks so good. I have to try this. 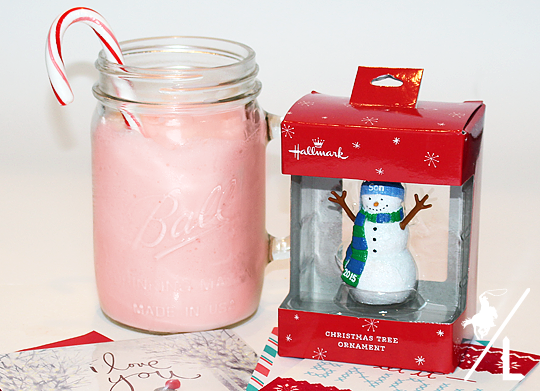 These milkshakes are perfect for serving for Christmas. I love that they are so sweet and festive. I would make a milkshake for myself every week! Peppermint is my favorite! Oh WOW! 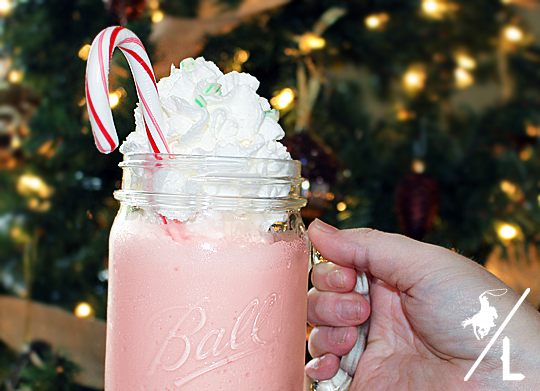 Do these Candy Cane Milkshakes ever look delicious! I need to make these! I love peppermint! These look SO good! Thanks for sharing on the Small Victories Sunday Linkup! That looks like an amazing milkshake! Wishing you and your family a very Merry Christmas and thanks so much for sharing your awesome post with Full Plate Thursday. I sure appreciate you!